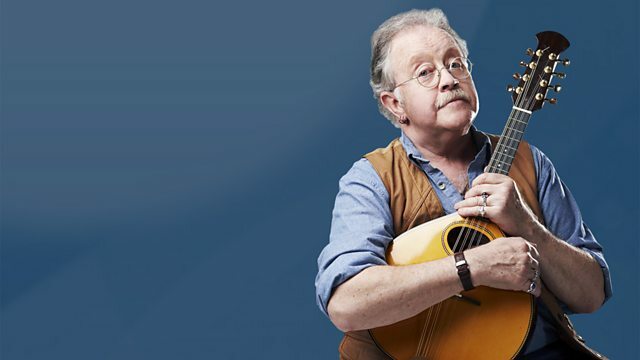 Mike Harding presents an hour of the very best in folk, roots and acoustic music. This week's guest is the Irish singer Iarla O Lionaird, who speaks to Mike about his latest album. Mike Harding presents an hour of the very best in folk, roots and acoustic music. This week, Mike's guest is the Irish singer Iarla Ó Lionáird, who speaks to Mike about his latest album, Foxlight. Iarla, known to many for his work with the Afro Celt Soundsystem, grew up steeped in the Sean Nós (old style) singing traditions of West Cork. On this week's show, he explains to Mike how those beginnings continue to influence his throroughly modern writing and recording style. Foxlight is Iarla's third solo studio album, and was produced by Leo Abrahams (Paul Simon, Brian Eno). Iarla tells Mike about the making of this remarkable record and fills him in about his forthcoming collaboration with the great fiddler Martin Hayes. Too Long In This Condition. Tales From The Weeping Willow. A Grey Lock Or Two.